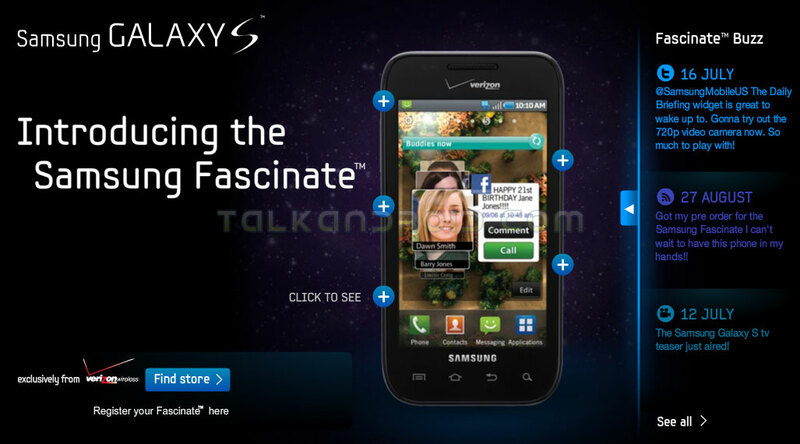 Today, Verizon Wireless released the Samsung Fascinate, the latest high-end Android phone to hit the carrier. Unlike the spate of recent Android phones bearing the famous DROID branding, this Verizon Android phone does not. The Samsung Fascinate is from a family of Samsung Galaxy S high-end Android phones that Samsung has been releasing across all the major carriers in the US. It is Samsung's attempt to establish Galaxy S as a major subbrand for Android devices. And while Samsung has already sold 1 million units in the US through AT&T, T-Mobile, and Sprint, there is a major flaw in its brand strategy. Is this a Samsung Galaxy S or a Samsung Fascinate phone? Now let's throw in the ecosystem of partners and to promote the phone, you've got a tongue twister such as.. the Samsung Fascinate is the latest Google Android phone on the Verizon network that is part of the Samsung Galaxy S family of phones. I would have developed an alphanumeric name for the Galaxy S models for each carrier. If Galaxy is going to be Samsung's global subbrand for high-end Android phones (and tablet PCs), then it should invest in that subbrand. And the end goal should be for consumers to say with pride that "I have a Galaxy phone." Samsung should not have evocative product names like Fascinate. Instead, it could be called the Samsung Galaxy 540 on one network and Samsung Galaxy 320 on another. This is actually a common brand strategy used by luxury auto makers who want consumers to say "I have a Bimmer" or "I have a Mercedes." But even within the telco industry, look no further than Motorola's brand strategy for the RAZR phone a few years ago. Every carrier had a version of the RAZR with alphanumeric names that no one remembered. But you just knew you had a RAZR. And despite Motorola's stumble on a follow-up successor, the RAZR was highly successful and its brand strategy was spot on.